With the combination of the two words "glamour" and "camping", glamping is above all a state of mind. This new trend in tourism combines luxury, nature and comfort, exactly what you will find in this glamping of the south of France. The South of France is the preferred destination for those wishing to enjoy the sun, the sea and local traditions. Exceptional holiday establishment, Villa Vicha is a quality glamping establishment with unique services. A few kilometers from the Mediterranean Sea discover a glamping with comfortable and quality rooms. You will appreciate the sunny terrace of each of our chalets to take your breakfasts in peace in the morning. Do you want to live a unique experience? Discover glamping at Villa Vicha! This 3 star establishment is a real place of well-being and decompression of the routine. If you knew ordinary and traditional accommodation so far, let yourself be tempted by the fabulous glamping experience in danish-style chalets. In addition to the originality and comfort of the place, you will enjoy the benefits of Villa Vicha namely, free and secure parking, a tennis court, a spa with cares, sauna and steam room and a swimming pool. You'll also enjoy free unlimited WiFi in every glamping cottage. 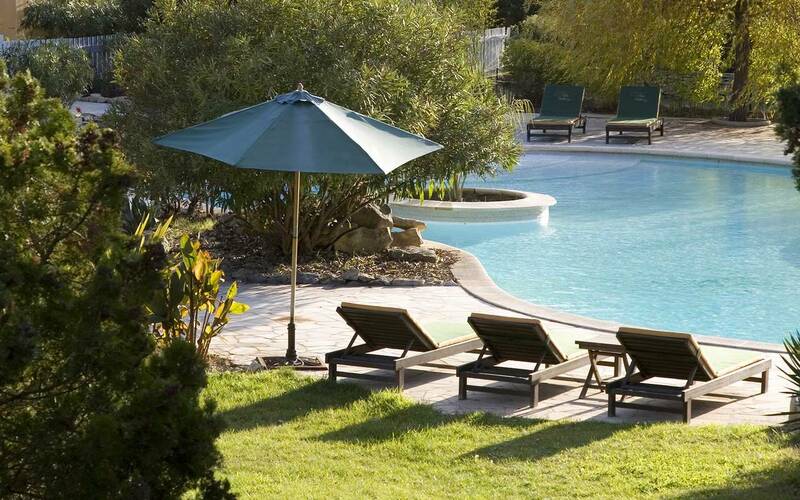 Villa Vicha is located in Aubais a pretty town not far from Montpellier and Nîmes. Located in the Gard, you will enjoy glamping in south of France. You will be able to discover the cultural, historical and gastronomic riches of the Gard region . Near Aubais, you can go to the Château de Sommières or Domaine Guinand. If you prefer, you will be able to visit the city of Nîmes, or go to the Camargue in the beautiful city of Grau du Roi. Your stay in this glamping in the south of France will be a real success!